Using a hammock is pretty straightforward and many people have a bit of experience with getting in and out. However, if you are trying to camp out overnight in your hammock, there are a couple tips to remember to ensure you get a restful night of comfortable sleep. 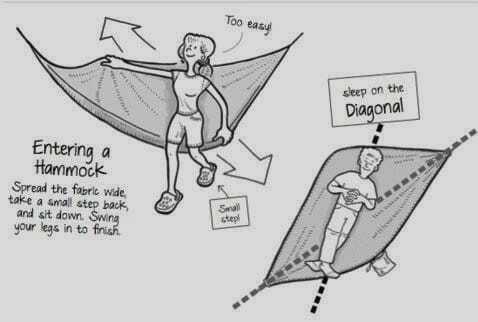 The good news is, if you know how to set up the hammock correctly, then you are already half way there! Here’s some advice to make sure you get the most out of your hammock camping experience. Don’t stress about the natural curve in an empty hammock – it’s actually much more comfortable than laying completely flat on a stiff sleeping pad in your tent. 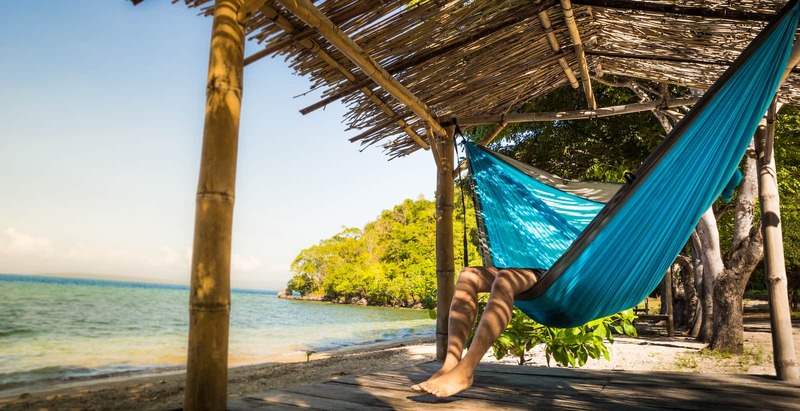 A common mistake people make is looking to completely eliminate the curve of the hammock by getting rid of all slack and tightening the hammock as much as possible. However, this is actually detrimental to your comfort. 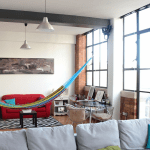 While might provide a flatter surface, the hammock will feel very constricting. The walls on the side will often squeeze your body and any extra fabric will fly into your face. Slack in your hammock is good. It gives you the flexibility to find an angle that is most comfortable and achieve a more horizontal sleeping position. You can achieve a more horizontal lay by positioning yourself at an angle inside the hammock, keeping your body slightly off center. This distributes your weight in such a way that will feel more natural and comfortable, as well as keeping the sides of the hammock from hugging you too tightly. The beauty of hammock sleeping is that it offers you all sorts of positions to rest in. In a traditional camping pad, you are limited to primarily sleeping on your back or stomach. Side sleepers are punished with excess pressure from the hard surface and unless you pack a large pillow, you’re left with an awkward angle to rest your head. 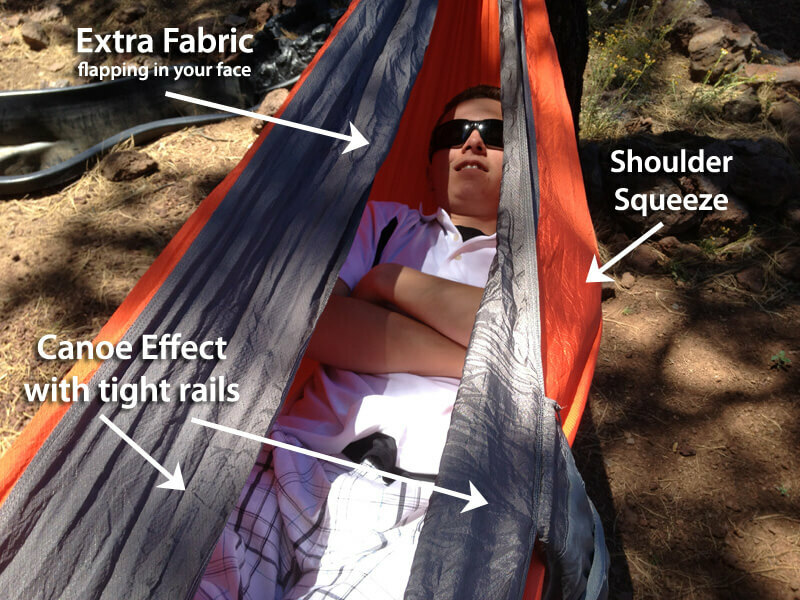 In a hammock, you can experiment with all sorts of sleeping positions as long as you feel comfortable. With a parachute hammock instead of a rope hammock you’ll be able doze off in comfort and wake up without the rope marks all over your face. 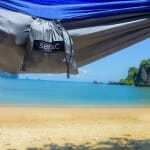 A good travel hammock should be pleasant and enjoyable, without straining any part of your body. There are plenty of hammocks to choose from, so find one that’s right for you. 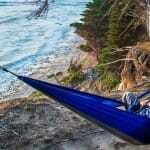 Hammocks will soon be your shelter of choice and you might even consider setting one up inside! This entry was posted in How to and tagged benefits, ergonomic, hammock set up, how to, posture, sleeping. Lol, I’ve been doing it wrong all my life! Thanks for sharing this!